Clip and hold, clip and sew right where you need it.Open wide for mulitple layers, won't damage or distortfabric. 1/4in and 1/2in seam allowance marking on base ofclip. 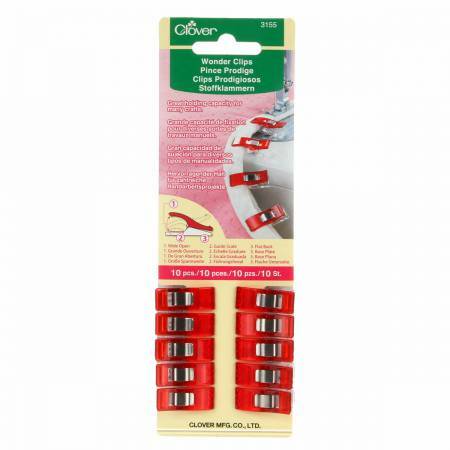 Clip base is flat for easy feeding to presser foot.Great hold for all kinds of different types of crafts.